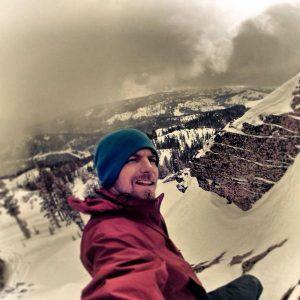 Find out what Ben Meester is doing when he’s not working at Tahoe Dave’s! What initially interested you into photography and how did you get your start? My mom gave me my first camera, a Minolta Film Body, because I was always troubled in school and she thought that a camera would help keep my mind focused. I started followed my friends around and they were dumb enough to do fun and interesting things so we started getting shots. Then when I was eighteen I moved to Tahoe and became friends with skiers that were way better than me so I started filming them. My first sale of professional photography was eventually to Northstar … it was of friends messing around and having a good ol’ time. It enables me to do what I want to do, see as much as I can and takes me where ever I want to go. I love nature and I love being outside! Photography allows me to be outdoors and call everywhere my office and that is probably one of the best parts. What are your key “interests” within the business? I love finding the beauty in things that often get overlooked. Anywhere from my landscapes to my fine art photography to my sports stuff … I always try to get a photo, that if you were standing right next to me we’d see two different things. I want to convey what’s going on through an angle or create an image that just otherwise wouldn’t be seen. Where do you do your work, mainly in one area or region, or do you cover a much wider scope of travels? The North Western United States is definitely my main photographed area. I like colder mountains and I love the Sierra Nevada’s. Tahoe is home, second to Chico which is where I grew up. I love having Tahoe as my base. 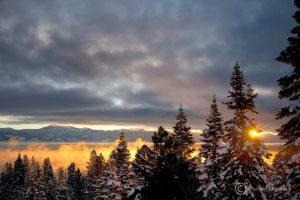 It’s inspiring seeing the lake every morning on my way to work at Tahoe Dave’s or going out on a photo shoot. 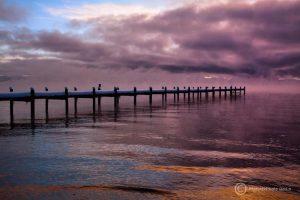 What do you enjoy most photographing? In your opinion, what makes photography an art? Being able to show the world an image through your eyes. You just don’t click and there it is… there is a thought process of getting it to look the way that you want it to look. You can set your camera up in a certain spot or look South instead of West, and it might change how the shot looks. Having an idea in your head, then being able to get that through the camera, onto the computer and later onto a print is pretty amazing. Knowing that this is what I’ve wanted to do since I was fairly young is pretty cool. My family is a big motivation. In the beginning my dad didn’t think this was going to go anywhere. And it’s not so much proving my dad I can do it now, but the fact that he is a big backer behind me and supports me in every way possible. He loves what I do and that motivates me … knowing in my head that I’ve made both my parents proud by doing what I want to do. If you could work alongside any one photographer who would it be? Tim Zimmerman. I’ve looked up to him since I was 18, when I was just getting into snowboard photography and really seeing his work was absolutely amazing. He has one shot in Snowboard Magazine when he was down in New Zealand of the half pipe with the snow vents reflecting on it. That’s always been a big one in my mind and I thought, “I want that shot”! What projects are you looking forward to getting into in the future? Overnight backcountry photo shoots. Going out there so I can really mix nature/art photography with snowboard photography. I want to accomplish both of those at that same time and eventually get those together so that a nice fine art piece will have a snowboarder in it. Do you have a favorite photograph? Why? My favorite image is of a good friend, Silver Serino, and it was my first photo published in a snowboard magazine, the photo annual of Snowboard Magazine. Silver had his feature set-up when I got there, and everything just worked. He had one light for him to snowboard, I had one flash to get the shot, and it took four tries before we were happy with the image. Simple. What’s your favorite part about working at Tahoe Dave’s? 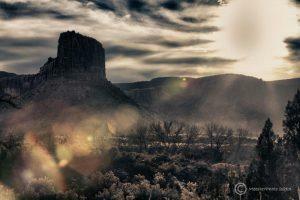 People all also welcome to email me for custom archival prints or canvas at any size. 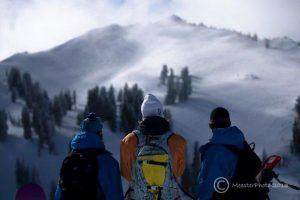 PreviousPrevious post:The Crew’s Top Choices for 2014 Skis and Boards!NextNext post:Tahoe Dave’s has a NEW Commercial!